Sorry I'm way late with this one. Some stuff was happening. YOU KNOW WHAT I MEAN. A lot of people, including myself, have been having a hard time accepting America's new stepdad. Anyway, I'm back at it for better or worse. 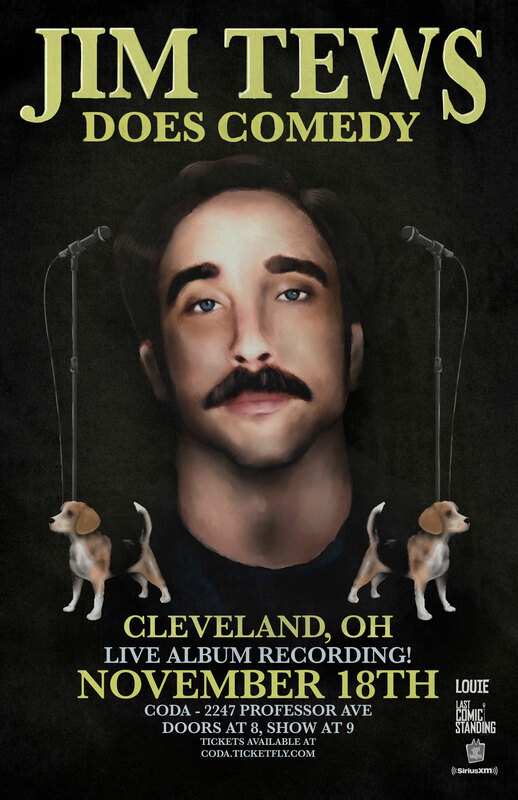 I'm recording my comedy album this Friday in Cleveland, in a basement. The best things happen in a basement in Cleveland. I've always said that, because for me, it's been undeniably true. I'll give you details sometime in person. I'd really like it if you'd come be a part of the taping. You can still grab tickets here. It's going to be a show full of friends and material of mine you haven't seen, unless you've really been following me closely in person to every show I've advertised. And if you have done, that, please tell me. To have my biggest fan remain in the shadows would be such a shame. Also, just so you know, this is your number one source for news and information about me. No advertisements, no clickbait, no misrepresentation. It's Tews news pure and true. Don't let an unreliable source tell you about something I may or may not be doing.